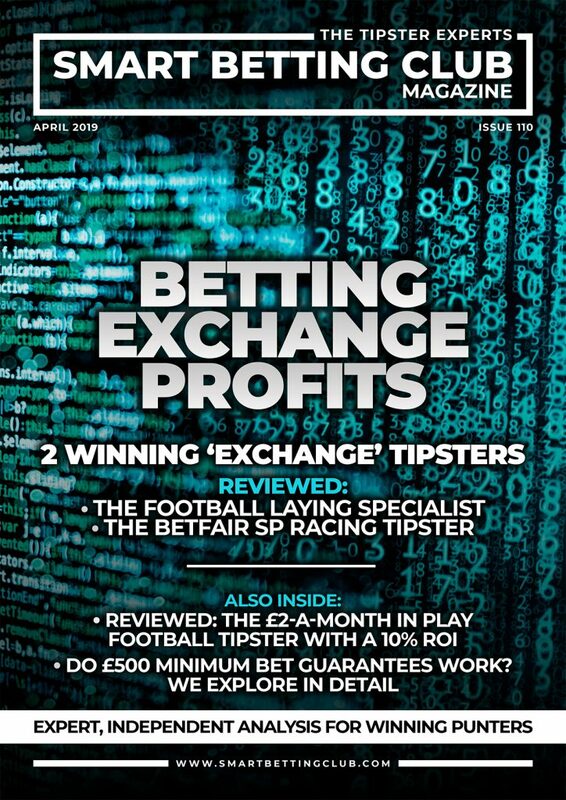 The latest SBC Magazine (Issue 110) is out now and it’s a Betting Exchange Profits special featuring reviews of 2 ‘Exchange Friendly’ tipster services. Whether it be the football laying expert making a fine profit in major European leagues or the long-term successful Betfair SP racing tipster – there is something for everyone to enjoy in this latest expert magazine! Added to the mix, you can also explore our review of the in-play football tipster with a 10% ROI, which best of all it costs just £2 a month to follow. An absolute bargain! There is also a special feature on the new £500 Minimum Bet Guarantees offered by several bookmakers, the value they provide and who they are suitable for. All told its a bumper edition and a must-read if you are looking for sustainable, exchange friendly tipsters to follow. SBC Issue 110 is available now with a Smart Betting Club membership. You can access your own copy of SBC 110 and our entire back catalogue of magazines the instant you join the Smart Betting Club. This includes access to every single tipster review we have ever written (there are literally hundreds available) and all of the Hall of Fame Tipsters we recommend to make you money betting. Check out some of our latest publications. You can also enjoy significant discounts on the cost of joining many of these tipsters via our unique Tipster Discounts – exclusively available to SBC members only. You can now join the Smart Betting Club and take advantage of our lowest EVER membership prices for 2019. From as little as £27.99 + VAT per quarter, you can get started immediately and access the ENTIRE Smart Betting Club service including all our SBC Magazines, Tipster Profit Reports, Best Tipster Guides, Pro Betting Guides & more. This includes access to our full 13 year back catalogue and no quibble money back guarantee if you join and don’t like what is on offer (unlikely!). £27.99 per quarter works out at just £2.15 per week – less than the cost of the Racing Post. It’s our best ever SBC membership deal and with our amazing money back guarantee offer you have everything to gain and nothing to lose. If you bet on Horseracing, then you will want to read the special new SBC report exploring the various Minimum Bet Guarantee offers now available to restricted punters. What kind of value do MBG’s offer punters? How do the odds available in MBG markets compare with odds from other bookmakers? How useful are MBG’s for punters and how best to use them? Which bookmakers offers the best and worst value MBG’s? What are the issues to be aware of with Betfair’s MBG offer? What Is A Minimum Bet Guarantee? A Minimum Bet Guarantee (MBG) in its simplest form is where a bookmaker will allow you bet to win up to a certain amount – usually around £500 without stake restriction. They are used primarily on horse racing, where the issue of restrictions is currently at its greatest, although in theory a MBG can be applied to any market or sport required. A punter offered a MBG that allows them to win £500 can place as much as £50 on a 10/1 bet or £250 on a 2/1 shot. The simple premise is that your stake allows you to win up to but no more than £500 on any given bet – usually only single bets. BetVictor – slightly different in that they offer a separate ‘guaranteed market’ from 11am to win up to £500 (this can be a win or each way bet). The odds in the guaranteed market are often worse than the regular markets. More information on each of the above can be found via this link. If you have any questions on this article or a Smart Betting Club membership in general, you can contact me directly via pete@smartbettingclub.com. I respond to all emails as quickly as I can! There was more good news for Horseracing punters today with the announcement from BetUK.com of another £500 Minimum Bet Guarantee on all UK & Irish races. This new guarantee allows all new and existing BetUK.com customers to win up to £500 on any racing bet in the win only markets from 11am each day. Those of you who might have been restricted by BetUK.com will also be able to bet into this market without issue. BetUK.com was relaunched in August 2018 as a Sportsbook following its purchase by the Swedish based LeoVegas group and they are the current shirt sponsor of Swansea City FC. Little is known about their operation as yet but this new Minimum Bet Guarantee will no doubt see plenty of interest in their service in coming weeks and months, which will help inform opinion. BetUK.com are now the 4th firm offering an online £500 Minimum Bet Guarantee – below you can find details on the other 3, including an update on Betfair and issues raised with certain MBG accounts being closed lately. Bet Victor – By far the most extensive offer initially, Bet Victor have rolled out a ‘Bet Guarantee’ market for every UK/Ireland race, where you can win up to £500 from 11am onwards. Both win and each way betting is allowed. Those of you who have had Bet Victor accounts closed in the past are also welcome to apply to have them reopened to use in the guarantee market. Indeed already a dozen or so of you have emailed me to confirm previously closed accounts are now usable once again. Despite initially offering the same odds in the ‘Bet Guarantee’ markets as in their normal racing markets, you can now expect to find worse odds with higher over-rounds and lower value prices. Therefore, do be sure to double-check the odds being offered in the Bet Guarantee market and how they compare before placing your bets. If you want a bet that is 3/1 in the regular market but only 2/1 in the Guaranteed market, then you probably won’t take it. But if its 3/1 or indeed 11/4, it might still be worth it if restricted in your choices of where you can bet. Skybet – They will lay a bet to lose up to £500 from 10am onwards, although this is for win bets only and in class 1 & 2 races so is the most limited in scope. Betfair Sportsbook – Initially offered a £500 lay to lose guarantee for all class 1 and 2 races for UK and Ireland, although this was recently expanded on the 30th November to cover ALL races. You can bet up to £500 on all races win only from 10am and those of you previously restricted by Betfair Sportsbook should be able to get on without issue. Unlike Bet Victor’s offer there is no separate ‘guaranteed’ market and you simply bet as you would do in the regular Betfair win racing markets. Only last weekend, I tweeted about one customer who had their account closed down for this apparent reason – even though he was not engaging in arbing in a systematic or consistent basis. He was simply placing a handful of bets each day from 10am onwards, which just so happened to be profitable and on occasions did shorten in price (equally some bets also did drift in price). As luck would have it (and very likely connected to the negative press my tweets raised on the topic), Betfair then contacted the customer on Monday to apologise and re-open his account with them. He was told it was down to a “an automated system error”, which also impacted a number of customers over the weekend. Good news for this one customer, but I have no idea if the others impacted by this ‘system error’ have had their accounts re-opened and if you too have been impacted by a Betfair closure (and are not willfully arbing), then I invite you to get in touch with me, so I can investigate. For the timebeing – its worth simply being aware of this issue if using Betfair and their Minimum Bet Guarantee. The launch of the BetUK.com offer brings the total number of bookmakers offering an online £500 Min Bet Guarantee to 4 and its encouraging to see another firm rolling it out. Whether or not other firms, including some of the bigger UK names join the throng, remains to be seen but as and when any other bookmakers roll out such offers, I will keep you updated. Keep an eye too on the SBC Twitter Feed as through this I regularly share further MBG updates of note as and when they come across my desk. Discover more on how the Smart Betting Club can help you and your betting. For those of you following the ongoing topic of bookmaker fairness and a right to bet without restrictions (AKA Minimum Bet Guarantees), then I want to point you in the direction of 2 excellent video interviews published recently by the bookmaker, Star Sports. 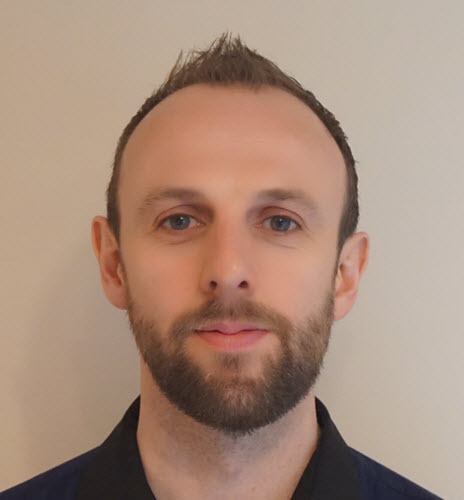 Firstly, we have the ‘ordinary punter’ viewpoint with 3 fascinating interviews with Brian Chappell (AKA Jimmy Justice) from the Justice For Punters pressure group on the fantastic work he and his organisation have undertaken on behalf of bettors. Across the series of 3 videos, Brian discusses the need for Minimum Bet Guarantees and why he feels this is the best way forward for punters looking to ‘get on’ with traditional bookmakers. He also reveals plenty on the negative tactics some bookies and casinos have employed and continue to employ to frustrate punters. Brian and the other volunteers at Justice For Punters have also been able to get some very high profile stories on bookies behaving badly covered by the likes of the BBC and the Times (a front page story no less) and credit must go to Simon Nott of Star Sports for the interview. Brian’s approach to gambling and demand for ‘fairness’ is in direct contrast to that from another very recent Star Sports interviewee – Skybet head honcho, Richard Flint, who in 3 more videos tackles a series of hot betting topics including why Skybet don’t accommodate winning punters. By my reckoning, this is the first time a bookie CEO has openly stated they don’t wish to take bets from winning punters as part of their business model. They only want losers. Whilst I certainly don’t agree with many things Richard says, especially when it comes to why such a profitable business as Skybet can’t afford to accommodate the tiny proportion of gamblers that win, his willingness to engage on the topic should be noted and encouraged. Both Richard and Brian’s interviews are important as they keep the conversation going on the topic of Minimum Bet Guarantees and the need for all punters to have the right to get a fair bet on. Only last year a meeting was held in parliament to discuss the problem of restrictions (amongst other topics) and it’s a story that is continually being covered by the mainstream media who like most of us, find it hard to understand why it’s not a level playing field for all. 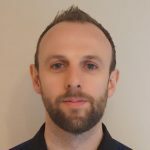 Richard Flint’s firm – Skybet are in fact one of three bookies currently trialing Minimum Bet Guarantees with the public – although it is Bet Victor who are leading the charge on this front with the most extensive offer. Their ‘Bet Guarantee’ markets are available for every UK/Ireland race, where you can win up to £500 from 11am onwards backing both to win and each-way. According to a recent article published in EGR Intel, Bet Victor are persevering with the Guarantee despite some ‘bad business’, specifically surrounding those taking advantage of bad each way races. This in turn has led to them at times offering different odds in their ‘Guaranteed Bet’ markets compared to those on offer via their traditional racing markets. A move that makes sense, especially if it leads towards the long-term adoption of such Guarantee Bet markets by Bet Victor and other firms – many of whom will be watching the results of their trial very closely indeed. For more on the current situation with Minimum Bet Laws, Brian Chappell has also written an interesting Justice For Punters update on exactly where we stand from his perspective, which outlines several points including questions on the legality of restrictions. For those of you interested in this topic, I will continue to keep you in the loop on all major developments including any changes or new additions to the Min Bet Guarantee ranks. If you want to join in the conversation, you can find SBC on twitter (@sbcinfo) and you can also read a full lowdown on the 3 main Min Bet Guarantees here. Minimum Bet Guarantees have been in the news recently and last week the biggest firm yet – Skybet joined the throng with the unveiling of their own £500 ‘lay to lose’ offer – available to those betting on all Class 1 and 2 races from 10am each day. Whilst it was welcome news that such a large bookie as Skybet had put up its own guarantee, their offer is not as extensive as some of the others available, yet is still another step in the direction for those of us fed up of restrictions and closures. I covered the topic in more depth in my article on Min Bet Guarantees a couple of weeks ago and the hope is that these offers could be the start of a more widespread acceptance of bets from all punters (not just losing ones). Especially if stories like this article in the Daily Mail continue to raise awareness of unfair bookmaker practice in limiting winning bets. To help keep you informed, I have penned a quick summary of what is on offer from each of the 3 firms offering these guarantees and the different terms and conditions. Please note – this covers online betting only. Despite initially offering the same odds in the ‘Bet Guarantee’ markets as in their normal racing markets, you can now expect to find worse odds at times, especially for smaller race meetings or those with unfavourable each way terms. Evidence seen by us recently suggests the ‘Bet Guaranteed’ market is now working regularly to higher over-rounds and lower value prices. You can bet up to £500 on all races win only from 10am and those of you previously restricted by Betfair Sportsbook will be able to get on without issue. Unlike Bet Victor’s offer there is no separate ‘guaranteed’ market and you simply bet as you would do in the regular Betfair win racing markets. Skybet – They will lay a bet to lose up to £500 from 10am onwards, although this is for win bets only and in class 1 & 2 races. As and when any other bookmakers roll out their own offers, I will keep you updated. Offering solutions for punters on all sports including but not limited to Horse Racing, Football, Golf, Tennis and all major US Sports like NBA or NFL, this guide will help show you the best firms to bet with to make long-term sustainable profits. You can access your copy of the 2018 Betting Exchange, Bookmaker & Bet Broker Guide with any Smart Betting Club membership (Silver, Gold or Platinum). As soon as you join the Smart Betting Club service, you are granted instant access to the guide.